Barbering has been around for many centuries. Barbering as a recognized profession, however, has not been around very long. Barber schools and its profession haven’t come about until the early 1900s. Before then, the role of barbers was held in both high esteem and seen as a common person’s position. Archeologists have found razors dating back to 3500 B.C. in Egypt. In the beginnings of barbering, barbers in ancient Egypt and Greece were highly respected individuals, often being priests and medical professionals. Right from the start, “barber shops” were places for public discourse, and social interaction. Most “barber shops” were in the middle of the marketplace. As barbering evolved, barbers had small, basic shops they worked in. Some successful barbers, however, had elaborate shops where society’s elite would gather and discuss the issues of the day. In the Middle Ages, the role and functions of barbers expanded to cover basic medical and dental procedures. During this time, barbers not only cut beards and hair and styles hair, but they also pulled teeth, performed surgery, leeching, bloodletting and fire cupping. These diverse functions were a part of the barber’s role for hundreds of years. It was during this era that the iconic barber pole was founded, with the spiraling red and white stripes representing the barber’s dual role of hairdresser and medical professional. By the 1800s, however, the medical role of the barbers transitioned to the doctors and surgeons. In the 1800s, barbershops in the U.S. were largely African American run businesses that helped develop that community. It was at the local barbershop that men would meet to discuss current events, to relax and enjoy the fellowshipping of neighbors and even hash out harsh disagreements and arguments. The first barber school was founded in the U.S. by A.B. Moler in Chicago in 1893. Soon after every major city in the U.S. had a barber school of its own. These schools only taught basic shaving, hair-cutting and beard treatments. 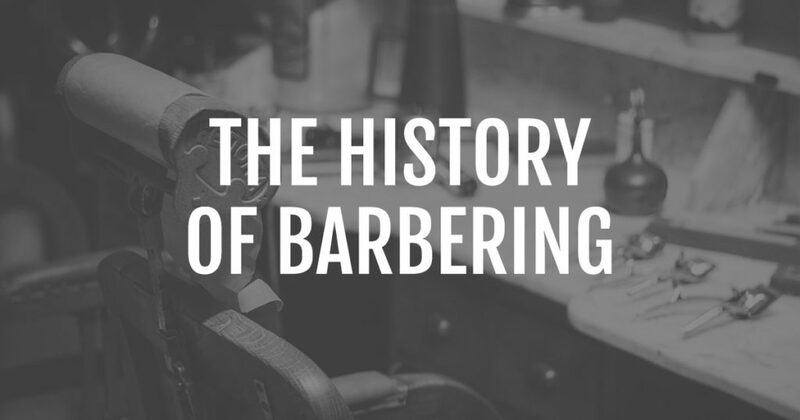 It wasn’t until 1920 that barbering became a recognized profession. Since barbering became a legal profession, it has done well. Every state now has some sort of certification barbers need to get licensed to practice there. Each state is different, with some having less or more requirements needed to be licensed. As you can see, barbering has played a significant role in society, even from its early beginnings. Being a barber is fun, fulfilling and meaningful. It provided the opportunities to make men and boys look their best all the while providing a place for customers to meet friends both old and new. The neighborhood barber shop is still the place for public discussion and debate. Whether you’ve always been interested in entering the barbering profession or you’re looking for a new, rewarding career, graduating from a barbering school is the first step. Taylor Andrews is a fully accredited beauty school with a highly renowned barbering program that is taught by expert barbers and which provide many opportunities for aspiring barbers to get valuable hands-on experience. Contact us today to learn more about the barbering profession, our barbering program or to enroll in our barbering courses.